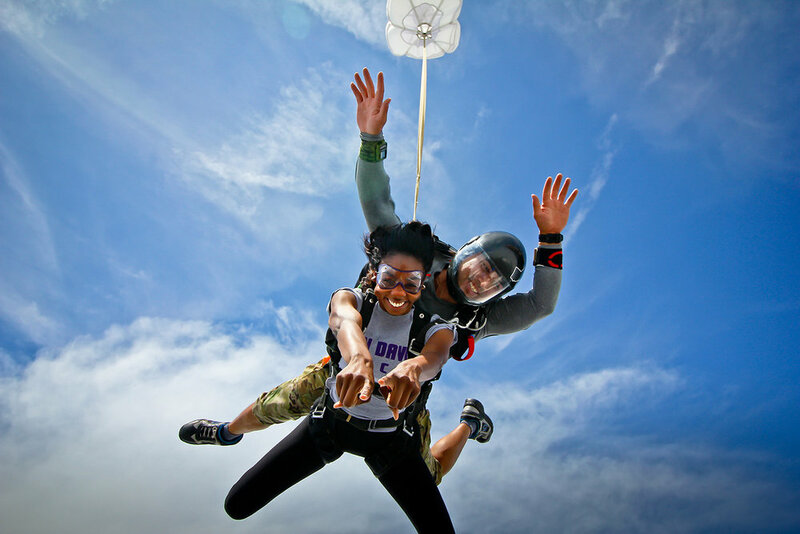 What is a tandem skydive and how does it work? 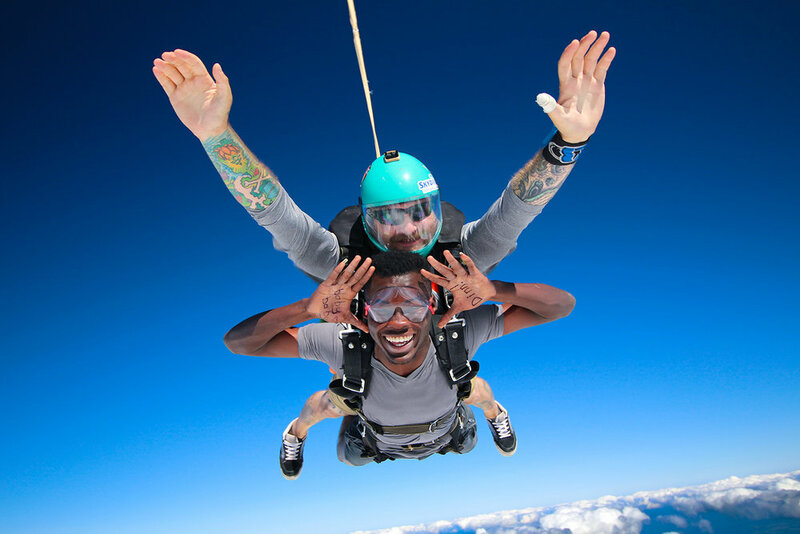 A tandem skydive is the safest, most exhilarating way to experience skydiving. 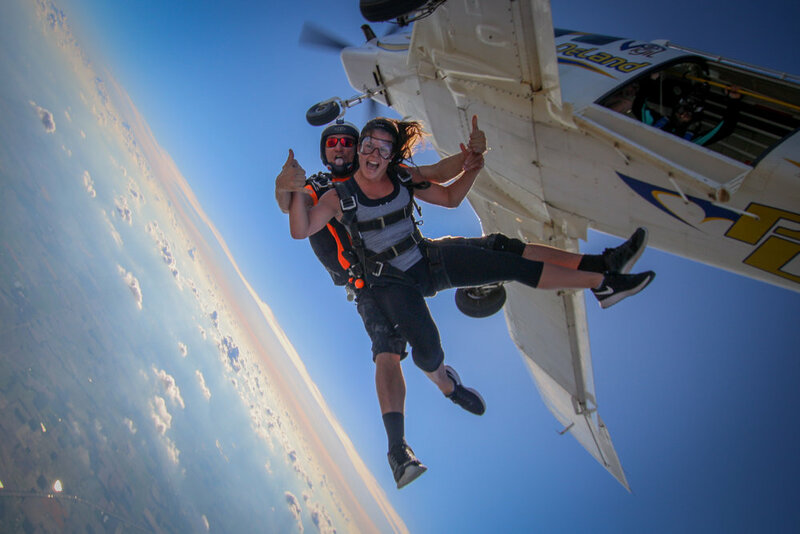 You are a attached via a harness to a highly-trained USPA-rated instructor who handles all the details from exit to landing, so you can enjoy the adrenaline rush. On arrival at Skydive Indianapolis, you'll watch a brief training video. 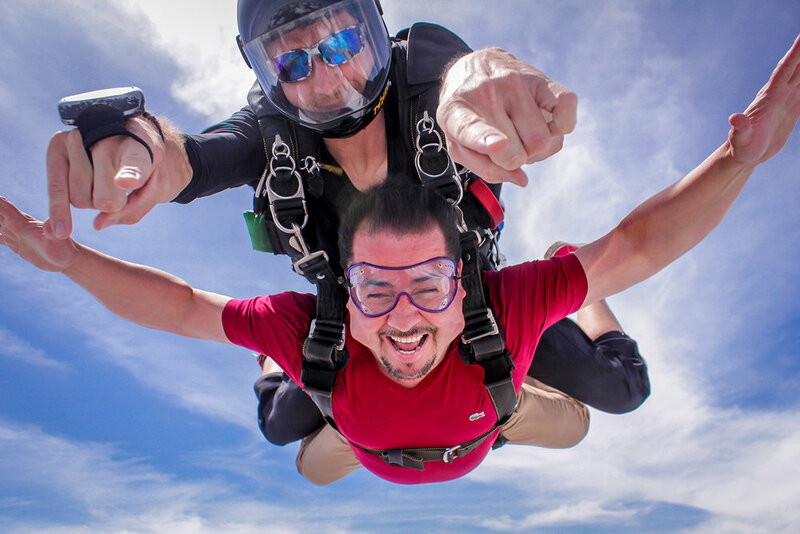 After you're manifested, you'll meet your instructor for a pre-jump briefing and get geared up. Together, you'll board the plane. As you climb to jump altitude, your instructor will go over instructions again. 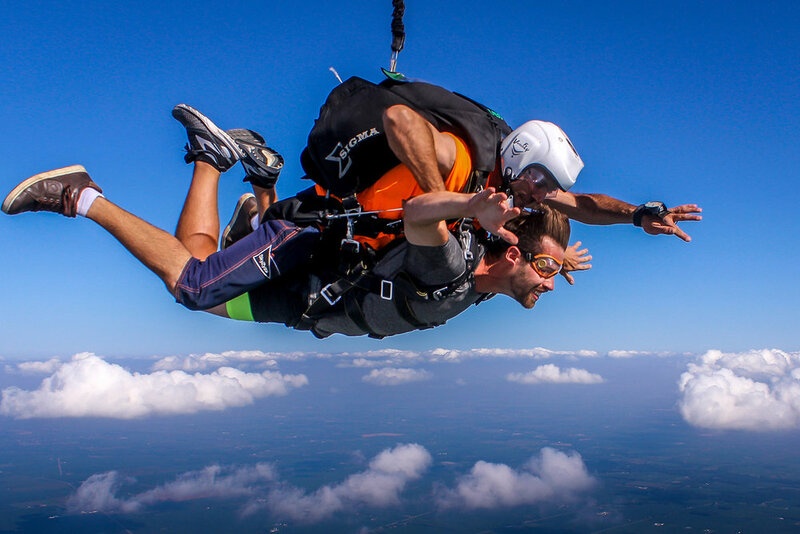 At 13,000 feet, the door will open, and you and your instructor will exit together into blue skies. 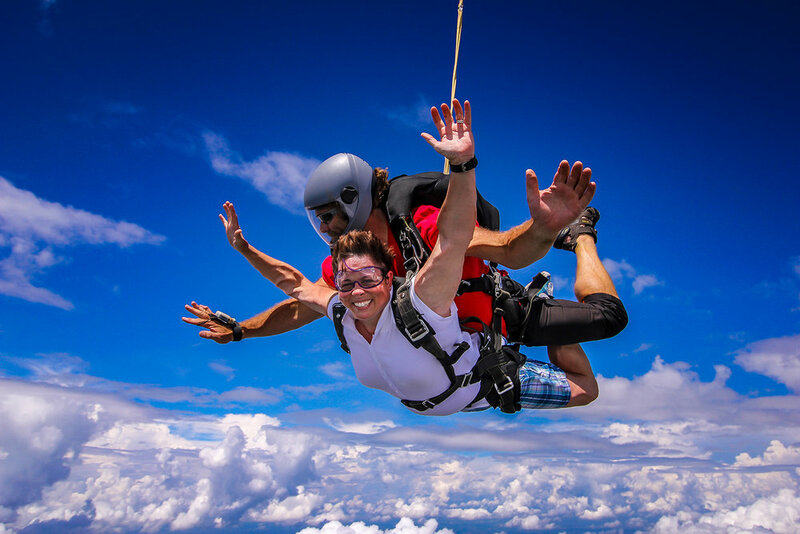 You'll free fall at 120 mph and at 5,000 feet, your instructor will deploy the parachute, and together, you'll soar back home. If you want to help steer, just ask! It’s just that simple, safe and thrilling. If your schedule permits, come jump on a weekday. It's less crowded, there are less wait times, and the price is great! 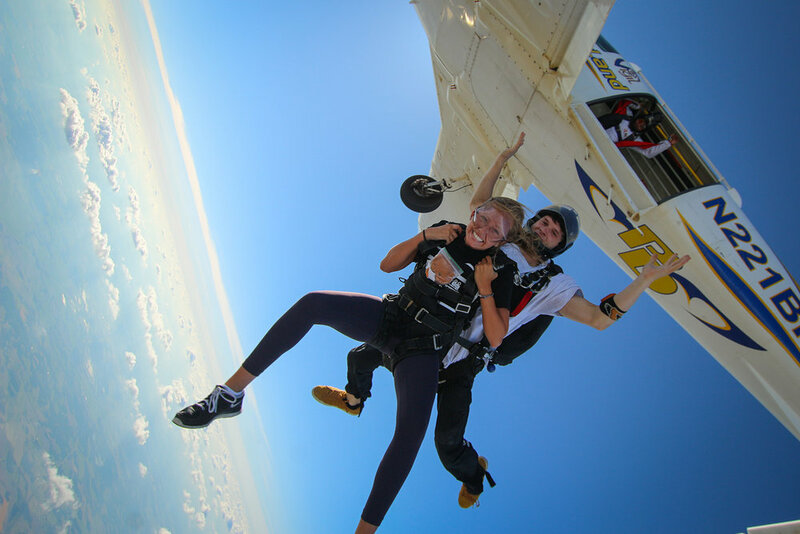 Saturdays and Sundays are jumping at the drop zone. Come be part of the energy and fun. You have booked an ARRIVAL time, not a jump time. Your deposit is non-refundable, but good for a year if you need to reschedule or there's weather issues. Dress comfortably, no flip flops. It's okay to bring snacks and drinks. Don't wear jewelry or anything that could fly off during your jump. 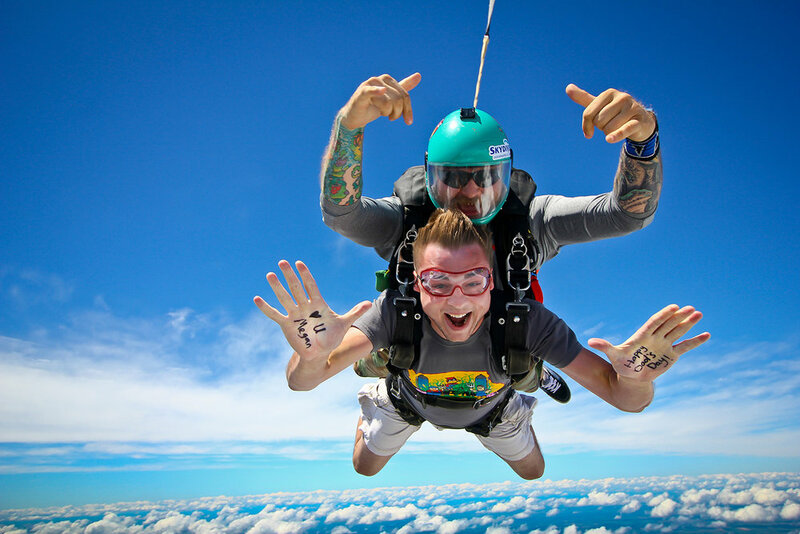 With group skydives, more is definitely more. More fun. More memorable. And more savings . And with our full-time turbine jump aircraft, we can take more of your group into our skies together. Those who want to come watch but not jump are welcome as well, and we’ll make sure they’re part of the action with front row viewing seats. 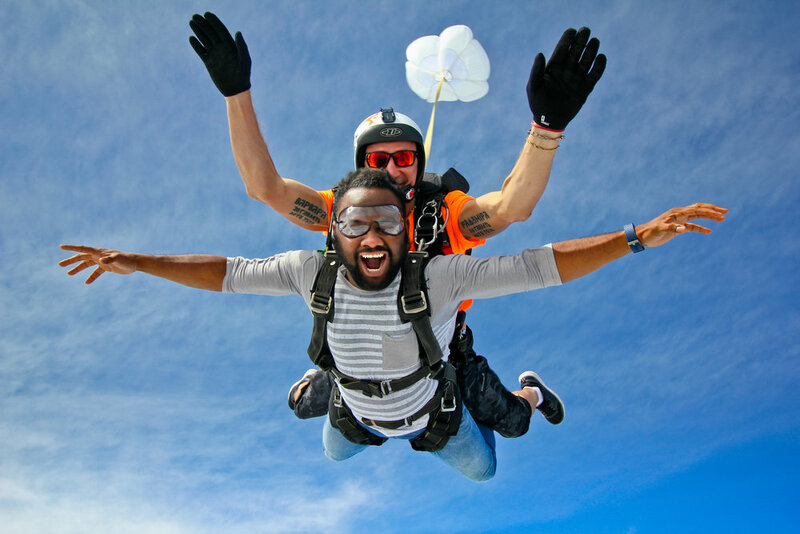 Save $50 on your next jump.